Synopsis: A gothic novelette about a young hunter who accidentally interrupts a wizard's spell which literally turns him into a living shadow, only able to venture into the world by night. He is doomed to spend the rest of eternity haunting the area where he was enchanted, hunting an elusive, ethereal deer night after night. Although his night vision becomes enhanced, and he is able to soar through the air with a shadow's weightlessness, interactions with other people leave him with such intense anxiety that he has no choice but to avoid them altogether. Help and danger collide when he encounters an injured runaway, whom he decides to help, despite the personal pain it causes. 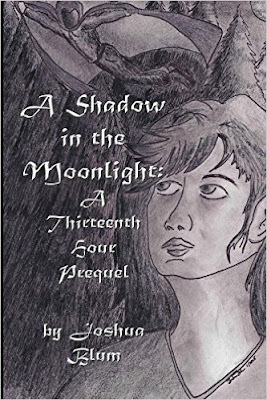 A stand alone prequel to the novel, "The Thirteenth Hour," by the same author. Approximately 11,000 words. Review: This is a short read but also an excellent read. I could just not stop reading this book and it kept my attention to the end of the book. This is an excellent story all about magic and spells.